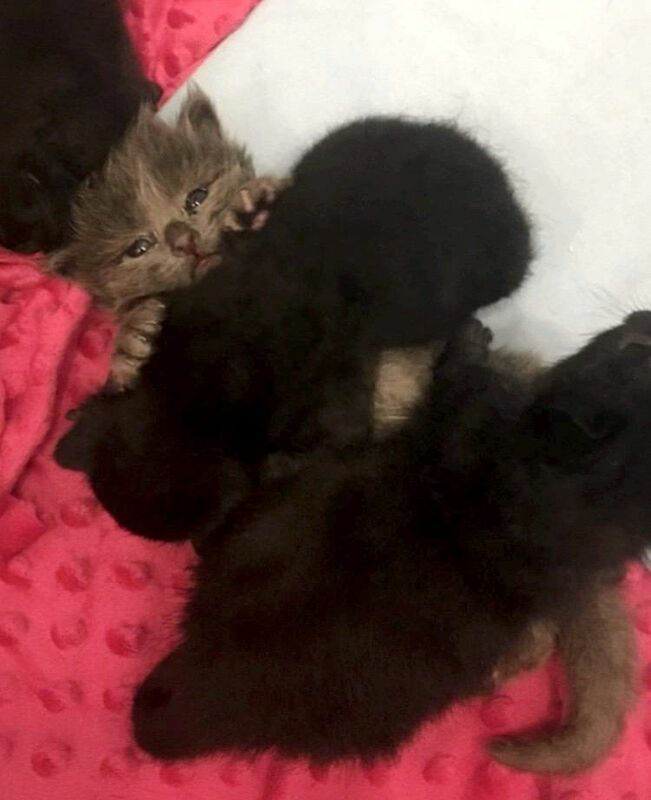 Orphaned Kitten Adopted by 3 Rescued Kitties When He Needed a Friend the Most - Moggies! Click here to subscribe and post to the site! 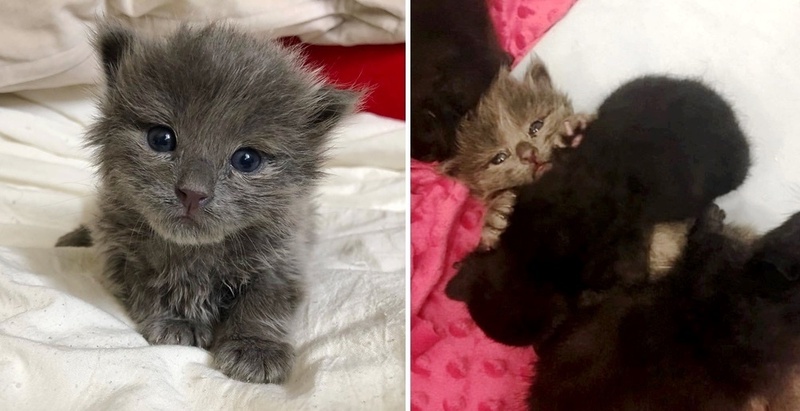 A kitten who became the sole survivor of his litter, found a new family with three feline sisters. 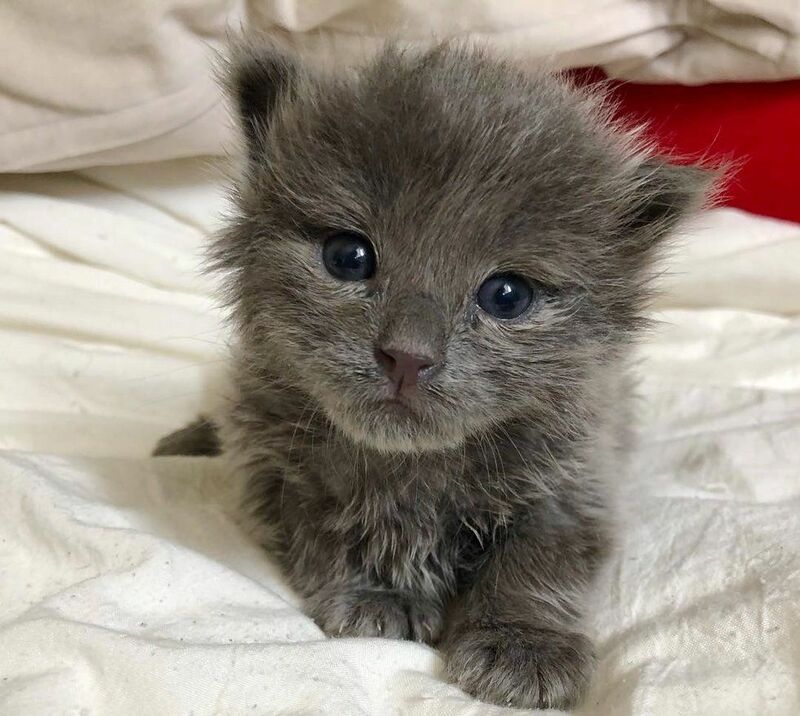 Smokey, a gray kitten, was found in a backyard along with his siblings — one of them had passed and the other was fading. 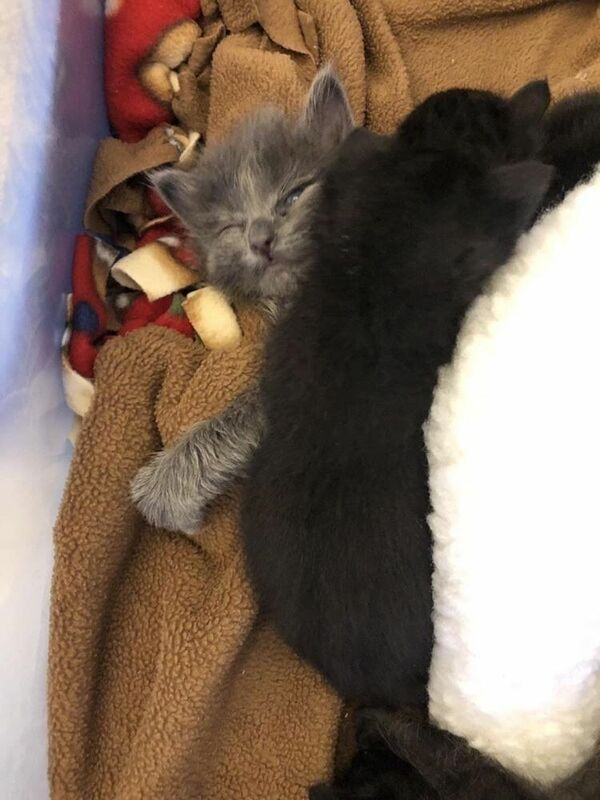 A local TNR (trap-neuter-return) rescuer wasted no time and started bottle feeding the remaining two kittens until they found them a foster home. Shelbi Uyehara of Jin’s Bottle Babies in Arizona took them into her care. Overnight, Smokey put on 18 grams. “He started purring early. Like the first day we got him, he already had a ferocious purr. That’s always a good sign to me,” Shelbi told Love Meow. Despite their very best effort, Smokey’s brother Bandit lost his fight. 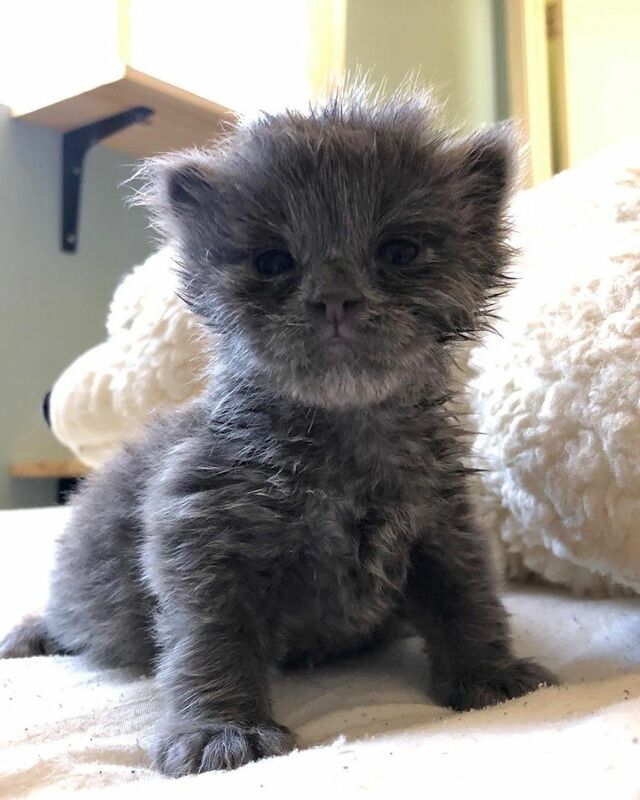 The little gray kitty became a singleton, constantly seeking attention and love. He clutched onto his snuggly teddy bear every day and night after feedings. While Smokey continued to grow bigger and stronger, it was clear that he really missed having a sibling around. Their resident cat Nitro came to offer a helping paw to keep him clean and groomed. A few days later, three feline sisters (Ana, Kristina, and Daniela) were brought in after they were rescued from a difficult situation. 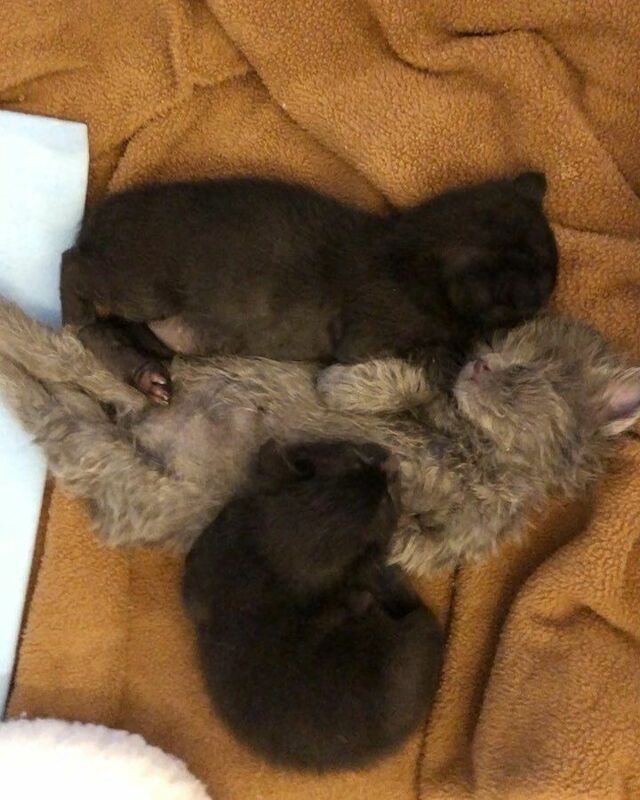 The kittens were covered in dust and needed help to clear their airways. 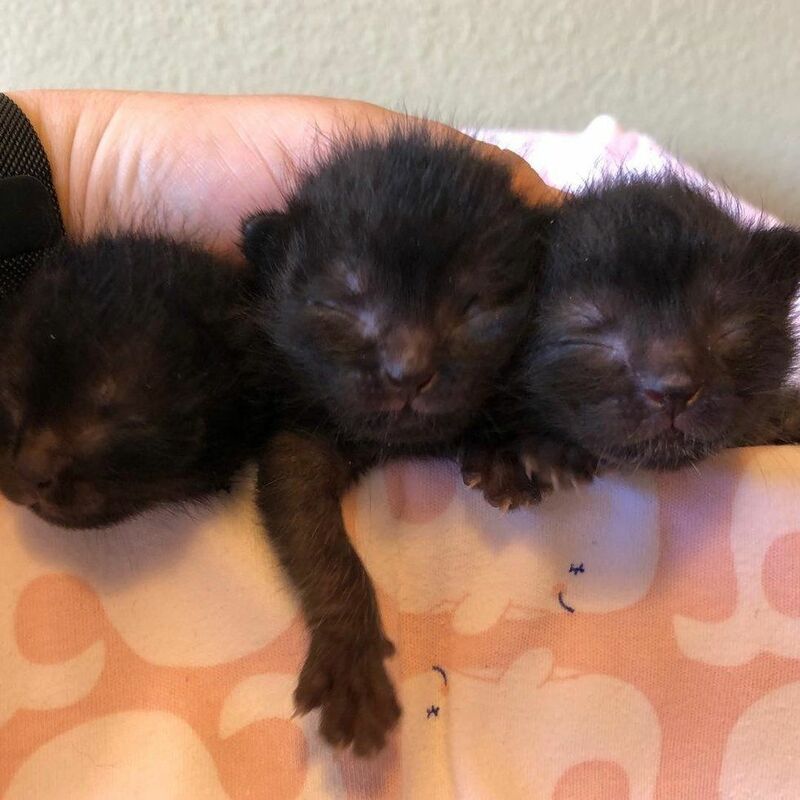 After many days of round-the-clock care, the trio bounced back, put on a lot of weight and were meowing and moving around like champs. Meanwhile, Smokey had blossomed into an adorable bundle of fluff, but they knew he needed a friend to thrive. Shelbi made a decision to introduce him to the sisters and hoped they would accept him. 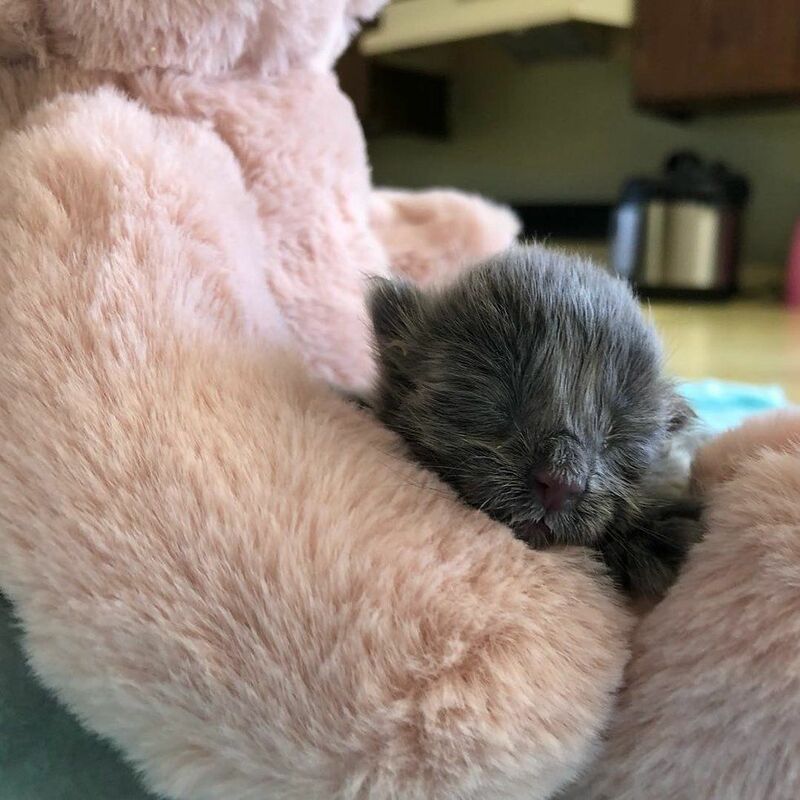 “I was really worried to put him in with them because they’re much younger and smaller than him,” Shelbi told Love Meow. But Smokey was determined to not be a singleton any more. He switched on his purr motor and was very gentle and sweet with his new friends. The sisters immediately gravitated toward him and rolled up on him for cuddles. “At first it seems like they thought he was mom. He was so massive. But now he’s taken the big brother role. They crawl all over him, and he just lays there on his back,” Shelbi told Love Meow. Smokey has become the protective little brother to his three sisters from another mother. He adores them and never leaves their side. 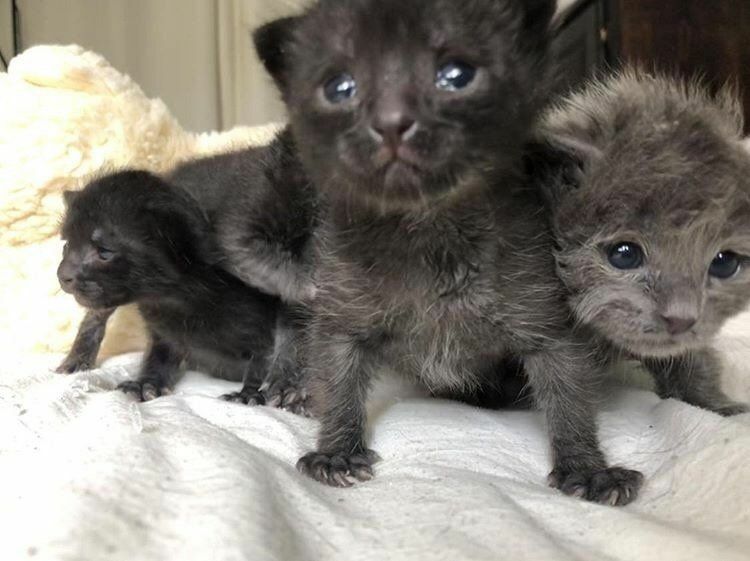 Despite a rough beginning, little Smokey is thriving with his sisters and following them everywhere they go. Share this story with your friends. Follow updates on these adorable kitties on Facebook and Instagram. © Moggies.net - All Rights Reserved.